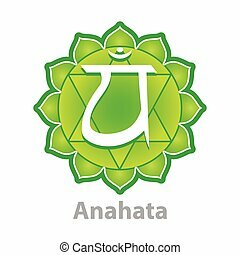 Chakra anahata. decorative design element esoteric buddhistic symbol of the chakras. 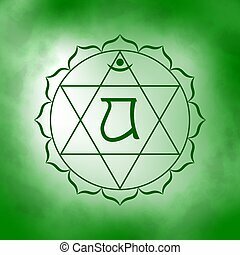 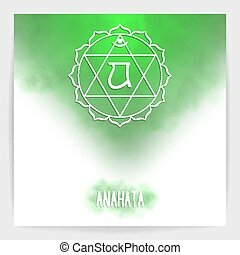 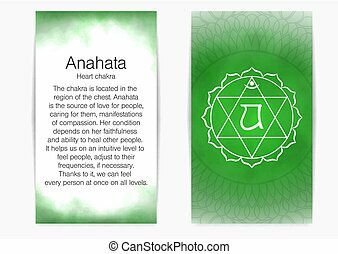 Fourth, heart chakra - Anahata. 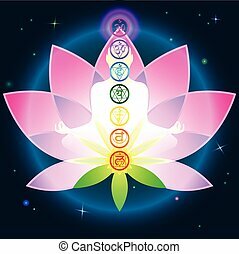 Illustration of one of the seven chakras. 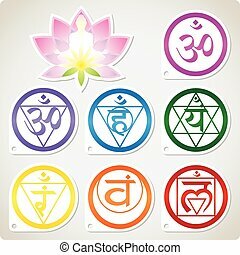 The symbol of Hinduism, Buddhism. 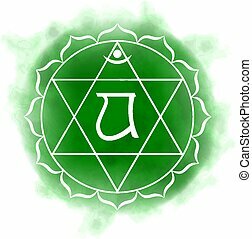 Green watercolor fog on background. 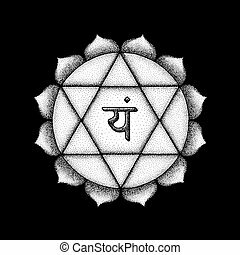 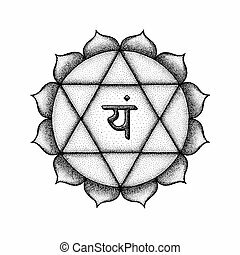 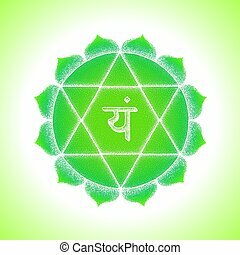 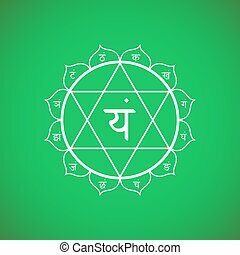 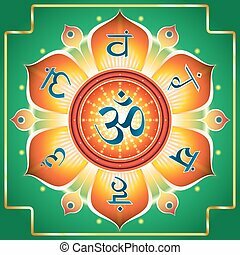 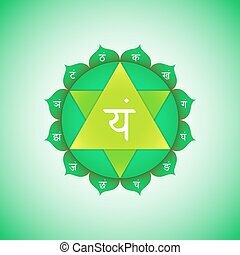 Vector fourth heart chakra Anahata with hinduism sanskrit seed mantra Yam and syllables on lotus petals. 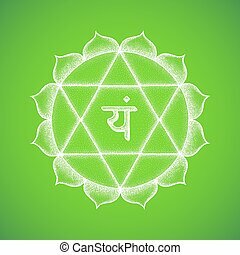 Outline contour white monochrome symbol with isolated colored green background for meditation, yoga and energy spiritual practices. 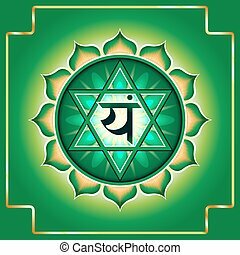 Vector fourth heart chakra Anahata with hinduism sanskrit seed mantra Yam and syllables on lotus petals. 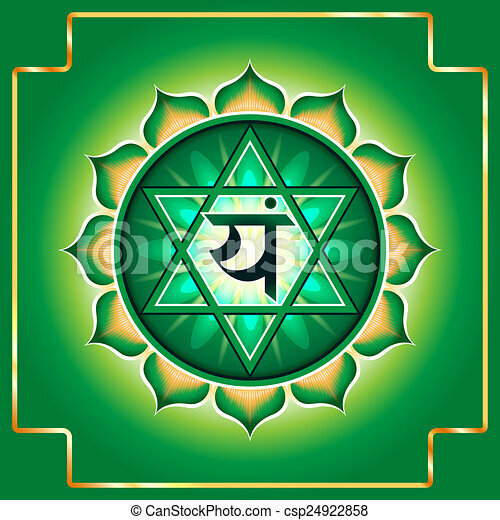 Flat style green volumetric symbol with colored background design for meditation, yoga and energy spiritual practices. 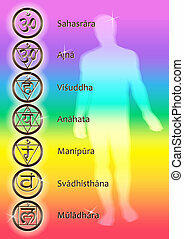 Creative colorful Vector Illustration of the human chakras and a full text description of each. 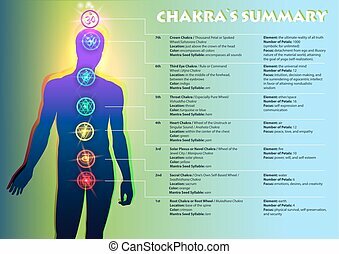 The image of a person and the visual position of chakra symbols. Chakras - the energy centers of the human characters in the color spectrum and titles.